When we look back at British history and ask ourselves who made a significant contribution within the healthcare profession, we remember the hard work of Crimean nurse, Florence Nightingale, The Lady of the Lamp. Florence Nightingale directed nursing programmes, tending to the British troops in Turkey at The Scutari Hospital. Yet a key figure is missing; Mary Seacole. Who is she? Established in her own right as a Crimean nurse, assisting English, French and Turkish troops, Mary Seacole fought against sexual and racial discrimination as a black, female nurse in her attempts to obtain sponsorships to go to the Crimea to nurse British soldiers. Born Mary Jane Grant in 1805 and raised in Jamaica, to a Black Jamaican creole Doctress and white Scottish father, Mary began practising traditional herbal medicine with her mother, who ran Blundell Hall in Kingston. With twenty-eight years professional experience nursing soldiers, some suffering from yellow fever and the cholera epidemic, Mary had her offer to go to The Crimea in 1854 rejected by various agencies including The War Office. Undeterred, and with a fierce work ethic, Mary used her entrepreneurial skills selling condiments which enabled her to run The British Hotel close to the Crimean battle lines attending to wounded Crimean soldiers. In her lifetime, she visited Cuba, Panama and Haiti. Her role as nurse included administering wound dressings, providing hot meals, performing minor surgery sessions, buying medicine from her own funds and offering pastoral support. As a result of Mary’s compassionate nature she became popular with British soldiers and Queen Victoria. Mary became destitute (due to the bills run up by the soldiers at The British Hotel) in 1856 and 1867. The press and general public expressed their affection and support publishing an ode to Mary. Her autobiography The Wonderful Adventures of Mrs Seacole in Many Lands was a best seller in 1857. A four day gala in her honour was held on the Thames with an estimated 80,000 people in attendance with the blessing of the Queen. Since her death in 1881, Mary has been awarded numerous accolades to celebrate her achievements as a pioneer; posthumously awarded the Jamaican Order of Merit in 1990, she was voted Greatest Black Briton in 2004 and in January 2013 Operation Black Vote collected over 36,000 signatures, to ensure that Mary was included in the proposed 2013 National Curriculum. 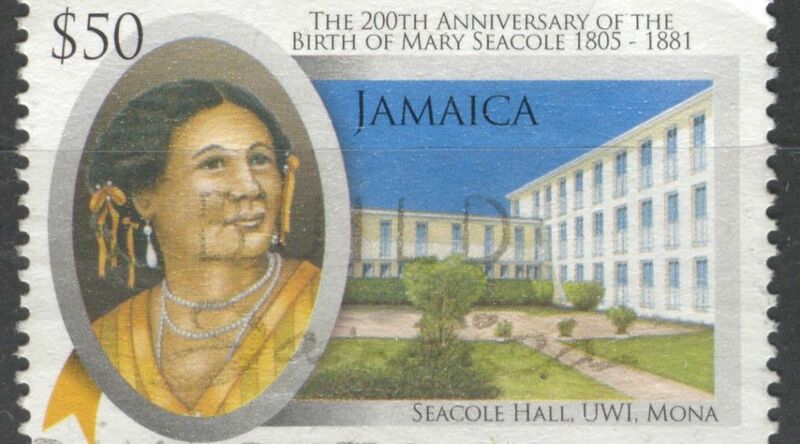 Numerous awards have been named in Mary’s honour including the prestigious Mary Seacole Leadership Awards founded in 1994 by The Department of Health. The Mary Seacole Memorial Appeal Fund launched two October events during Black History month to raise the remaining £96,000 needed to complete the project. A variety of fundraising initiatives have taken place over the last 12 years to raise funds for the memorial with great success, thanks to the generosity of the public. On Friday 10th October 2014, the event All for 1, took place, where the public donated a minimum of £1 to the memorial by texting MARY 11 to 70070. This followed the online event It takes two on Wednesday 22nd October, where a minimum of £2 was donated online . On 30 June, a £500,000 bronze statue was unveiled by Baroness Floella Benjamin, honouring Mary’s service in nursing Crimean soldiers. The 15 foot permanent memorial, created by sculptor Martin Jennings, stands pride of place across from the Houses of Parliament in Westminster within the gardens of St Thomas’ Hospital. The treasury, under Chancellor George Osborne MP, donated £240,000 towards the installation. A significant portion of the charity funding has gone towards creating a memorial garden, in honour of civilian and military health workers in conflict zones, who continue to dedicate their lives to nursing those most vulnerable. This includes the excellent work nurses provide by tackling the Ebola crisis. 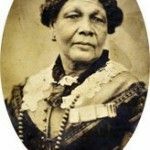 Why does Mary Seacole’s story remain all the more powerful in the 21st century? Mary’s tale is inspiring; with drive and tenacity she overcame prejudice in Victorian society to make a difference to those less fortunate fighting on the battle line . Let future generations be inspired by her tenacity in making all things possible.